OLD PARKED CARS. : 1978 Renault Le Car. Just saw one of these the other day! Cheesy name, but a pretty unique compact. Kinda awkward styling, but I like it. I want this! 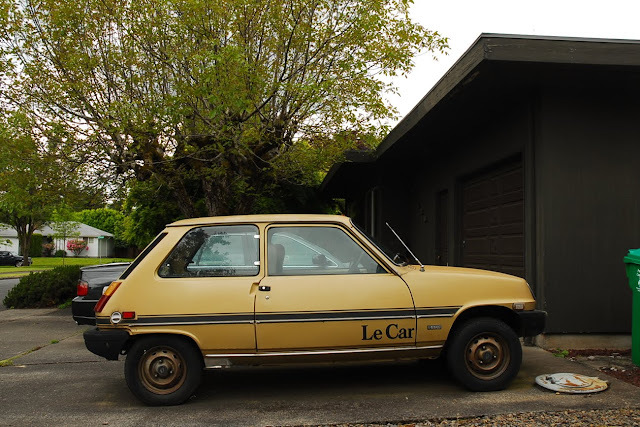 I love French cars! They make cars with passion! I hope someday the French return to the US. Owned one once. Entertaining for driving down road watching Screws back out of their holes and parts fall off. Unique design philosophy: why have 4 or 5 lug nuts when 3 might do. 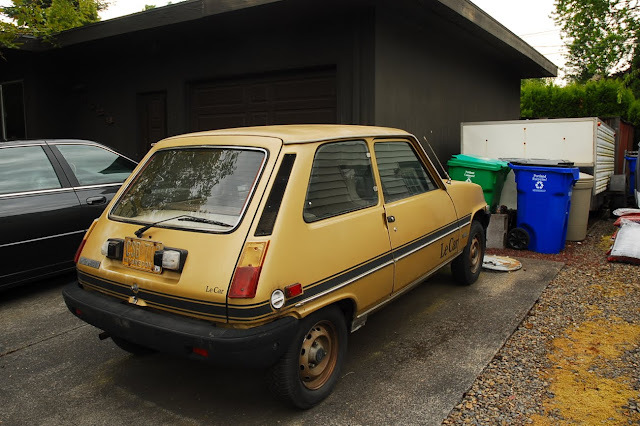 saw one in a driveway way back in the early 90's haven't seen one since. 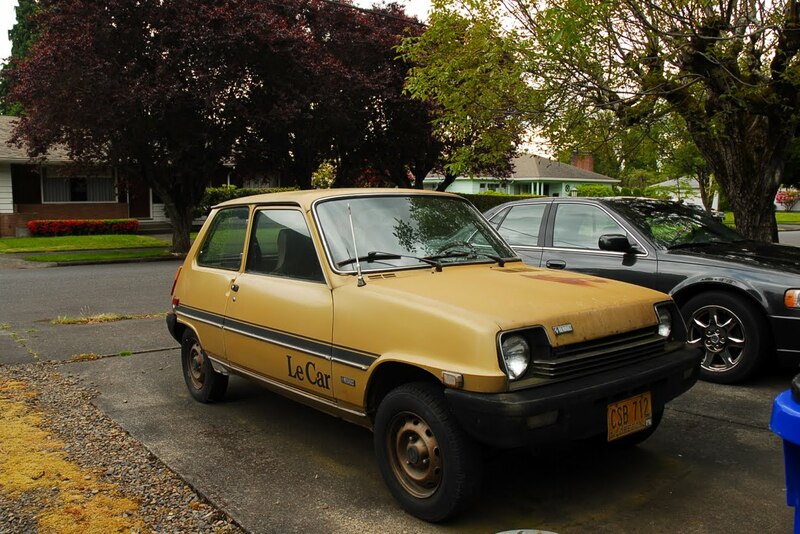 this was probably the most weirdly interesting car we got from France. I'd drive it just because of the name. 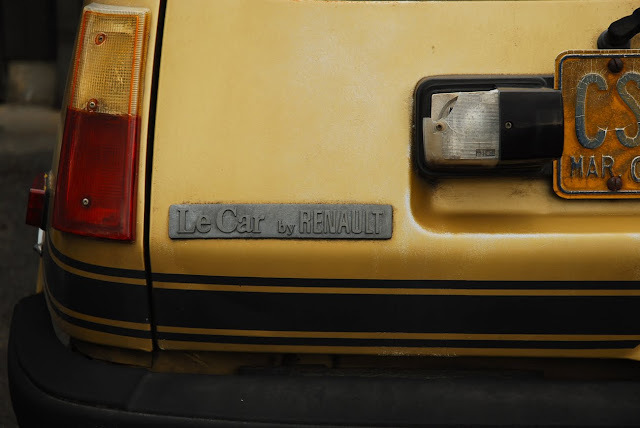 now if you guys could find a Renault 15/17 that would really be an impressive find. There was a blue one running around Salem a year or two back .. only one I've ever seen, though they are likely more populous in Canadia. Probably still popular in Quebec! i have been driving a 82 peugeot 504 diesel(stick)for about 7 years now and been amazingly reliable with over 300kmiles on clock(original motor still)i am responsible for 120kmiles of that and only thing that went wrong was clutch slave cylnder($45 at napa).things like belts brake pads been changed as requierd but no real issues. A teacher at my middle school drove one of these in the early 80s, and another teacher always made fun of the car, telling people she got the car at Children's Palace (now defunct toy store chain). Love the look of these, but I doubt I've seen one here in the Midwest since I was a kid in the 1980s.